It's such a happy coincidence that Look Fantastics birthday box falls on my birthday month too! 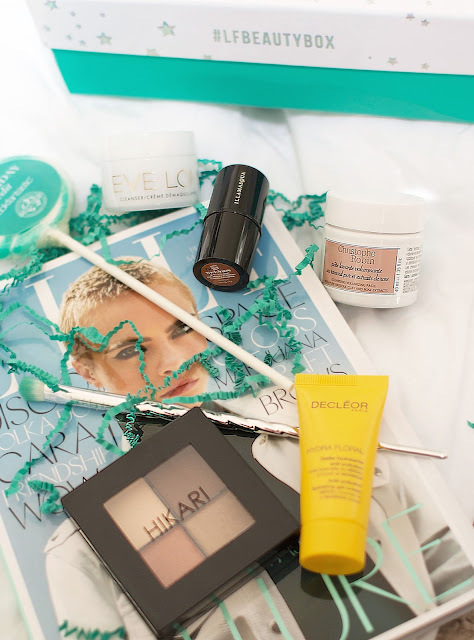 Happy Birthday to the Look Fantastic babes and thank you so much for sending me a box! 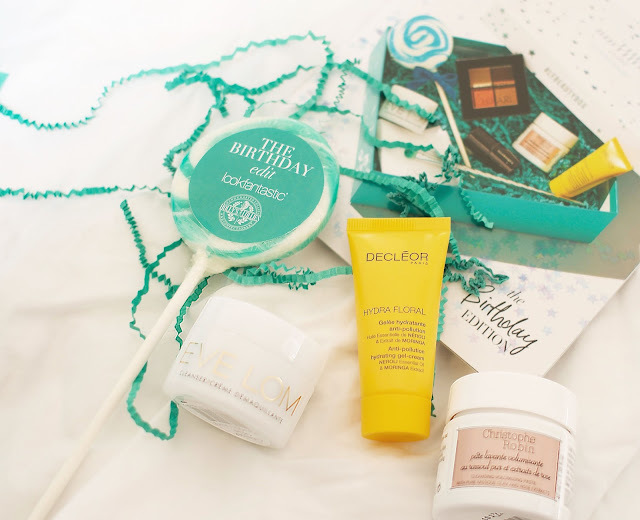 The birthday edition is definitely my favorite so far mainly because of the lollipop but if you're interested in finding out what goodies you receive in the September issue then carry on reading loves! Eve Lom - Cleanser and muslin cloth | I have used a sample of this before and I absolutely adored the results... I think this is actually one of those cult products which beauty gurus swear by. Also amazing to have a new muslin cloth as I always use them to add heat to my face and take off cleansing products! Decléor - Hydrating gel-cream | I have heard so many great things about this totally fancy pants brand and I can't wait to give this cream a go. It has some great ingredients in this moisturizer like Neroli essential oils and Moringa Olifeira to help keep skin hydrated and protected from pollution. Christophe Robin - Cleansing volumizing paste | It wouldn't be a well rounded beauty box without a luxury hair product now would it! A new product from this lovely French haircare brand which preserves and protects hair color and adds volume to those locks. I use clay hair masks all the time and absolutely love the way they cleanse my hair. Illamasqua - Mini contouring gel sculpt in silhouette | This was actually the main product I got really excited about when opening this box. 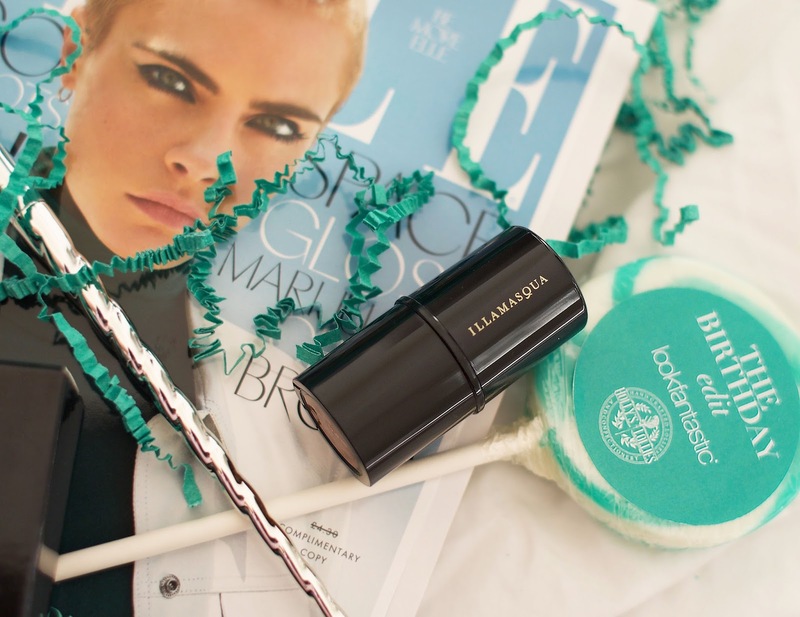 I've only ever used highlighting products from Illamasqua before which were beautiful btw so I am intrigued by the contour stick. Hopefully it will slim down my swollen pregnant face! 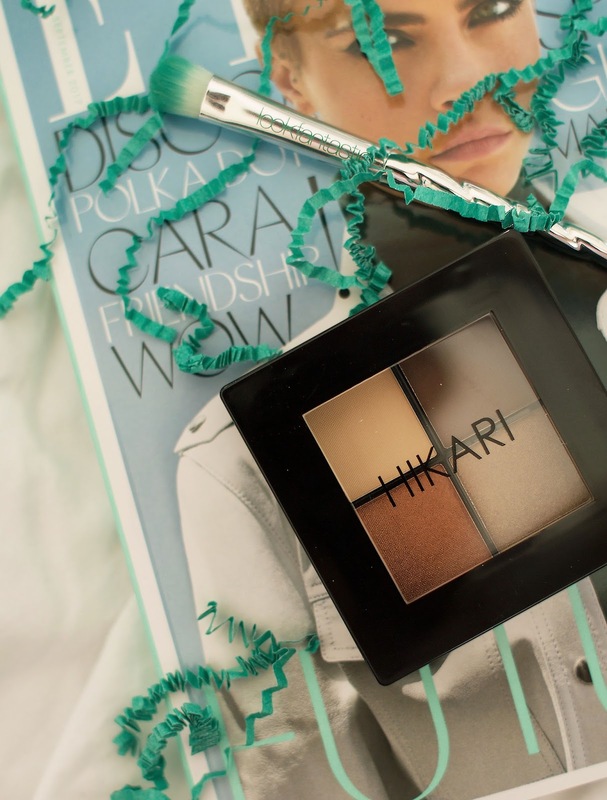 Hikari - Eyeshadow Palette | This is definitely a perfect smokey eye palette, the colors are highly pigmented with two matte shades and two shimmer shades. Look Fantastic - Unicorn eye shadow brush | The LF team really did think of everything with this little gem, its pretty and the quality feels amazing! I think this will be my new favorite blending brush. Lolly - Elderflower flavor | Sweet treats are always welcome in a beauty box, especially a birthday edition. I have shown immense willpower by not eating this when the box arrived but now that the post is done and the photos are taken its fair game! You also get a lovely Elle magazine too along with a little LF magazine which has a great carrot walnut cake recipe inside FYI! I hope you've enjoyed a peek inside the birthday edition box, links to buy are below! Pre-order Octobers edition now before they sell out.